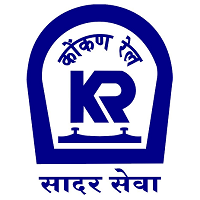 Konkan Railway Corporation Limited (KRCL) is a Union Government Company headquartered at CBD Belapur in Navi Mumbai that operates Konkan Railway. The company started its full operations of trains on 26 January 1998.The first passenger train which ran on Konkan railway tracks on 20 March 1993 between Udupi and Mangalore. Konkan Railway Corporation Limited (KRCL) has released notification for filling up 28 vacancies for the post of Sr. Section Engineer & Section Engineer. Posts Details : – SSE/ Electrical – 10 Posts, SE/ Civil – 04 Posts, SSE/ S&T – 11 Posts & SSE/ Mechanical – 03 Posts. Selection Process will be based on Written Exam. All desirous and eligible applicants shall apply ON-LINE after satisfying themselves that they are eligible as per the terms and conditions of this recruitment. Interested candidate may apply and submit the application form before the closing date. The details are given in the official notification. Category : – Indian Railway Sector. Job Title : – Sr. Section Engineer & Section Engineer Posts. No. of Post : – 28 Posts. Salary : – Read Official Notification. SSE/ Electrical – Four years bachelor degree in (i) Electrical/ Electronics & Power Engineering or (ii) combination of any sub-stream of basic streams of Electrical from recognized University/ Institute approved by AICTE. SE/ Civil – Four years Bachelor’s Degree in Mechanical/ Industrial/ Automobile/ Production Engineering from a Recognized University/ Institute approved by AICTE. SSE/ S&T – Four years Bachelor’s Degree in (i) Electrical/ Electronics/ Information technology/ Communication engineering/ Computer Science & Engineering/ Computer Science/ Computer Engineering or M Sc electronics OR (ii) A combination of any sub stream of basic streams of Electrical/ Electronics/ Information Technology/ Communication engineering from recognized university/ institute approved by AICTE. SSE/ Mechanical – Four years Bachelor’s degree in Civil Engineering from university/ Institute recognized by AICTE. For more details Read Official Notification. For more details Read Official Notification. How to Apply : – Visit https://cdn4.digialm.com//EForms/configuredHtml/1181/57683//Instruction.html to Apply Online Application from. Read Official Notification. Govtjobfix.com is India’s most innovative, fastest growing Online job Recruitment Portal. It is one of the leading job Search website which helps you to find out the best ever jobs in Public Sector as well as in Government Sector. Govtjobfix.com helps you in shaping up your job dream and also offers better relevance of job search results through its database. BHEL Recruitment 2019 – Apply Online for Engineer Trainee, Executive Trainee (HR) & Executive Trainee (Finance) Posts. High Court of Uttarakhand Recruitment 2019 – Apply Online for Higher Judicial Service Job. MPSC Recruitment 2019 – Apply Online for Maharashtra Group-C Services Preliminary Examination 2019.